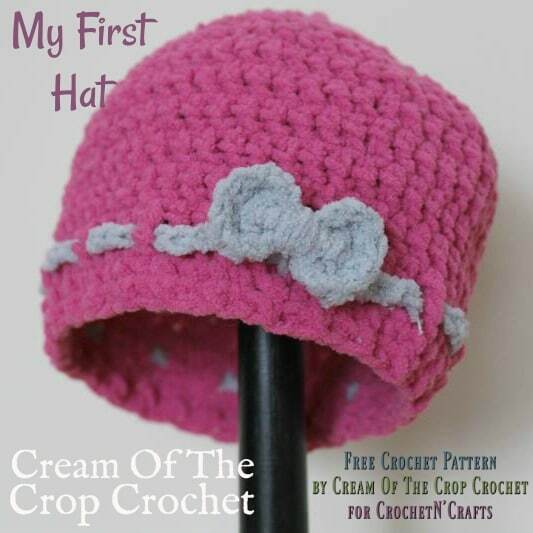 Crochet this adorable newborn baby hat pattern by Cream Of The Crop Crochet in any color that you like to suit either a baby girl or a baby boy. Girls will prefer the cute little bow, but for a boy, why not try a cute little animal or car applique. 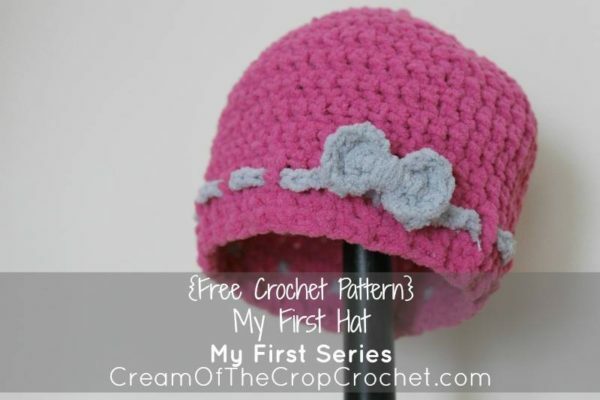 The crocheted hat is nice and cozy, making it great for the new winter babies. 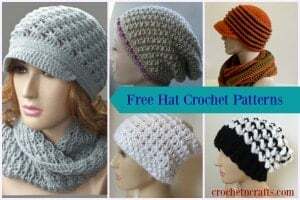 Use it to keep their little heads warm while going out into the cold, or use it during photo shoots as a cute accessory. 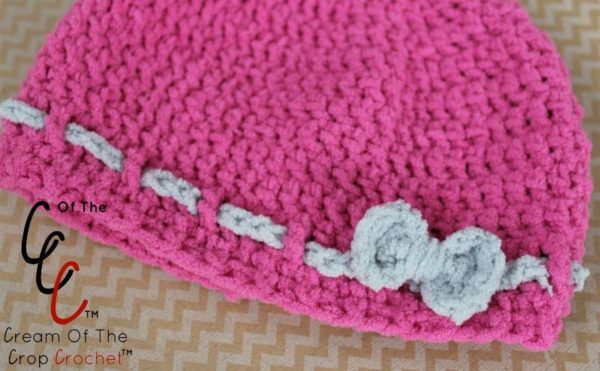 This hat is the perfect companion for this crochet teddy bear amigurumi, these baby booties or this lovey. 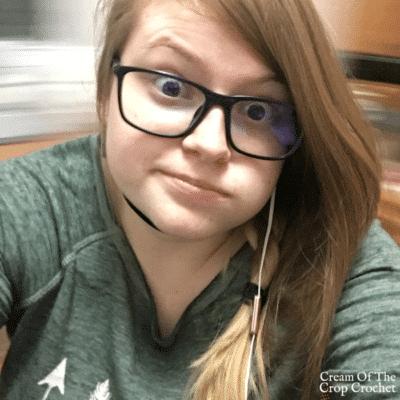 • In the amount of stitches you should have at the end of the row (ex. 11 sts). 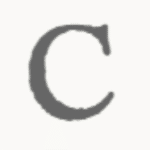 That count does include the chain. Wrap yarn around the middle of the bow tightly and tie both ends together. Attach the bow to the hat over the weaved chain with CB and a yarn needle.